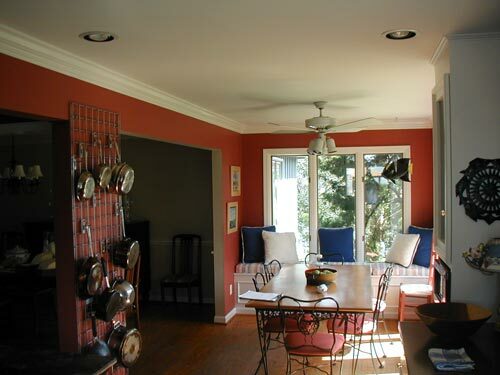 This testimonial from Peggy perfectly explains what a few simple tasks can do to transform an old home. With just minor repairs and a few fresh coats of paint, a home that’s decades old can have a totally updated look. We did it for Peggy’s house and we can do it for yours, too! You might be thinking that your home is so outdated that a few simple projects just won’t make a difference. You’d be surprised at the impact just a fresh coat of paint can make. Our experienced and professional team of residential painters can work with you to find a color that will complement your home’s features and we’re always ready to discuss your budget ahead of time so there won’t be any unpleasant surprises when you get your bill. 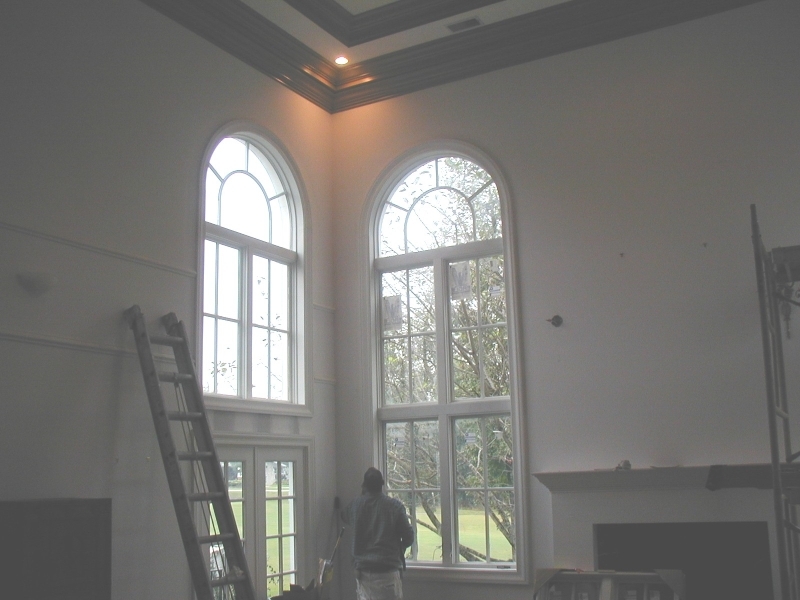 We specialize in both interior and exterior home painting, so when you work with Colour Solutions you know you’re working with professionals. Want to see some of our work? Check out our online gallery here. 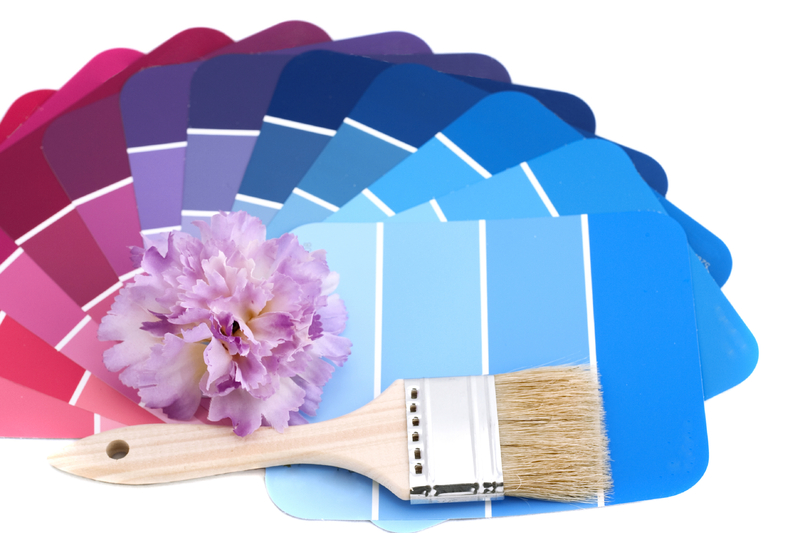 In addition to painting, Colour Solutions is proud to offer faux finishing services to give your home a truly customized look. 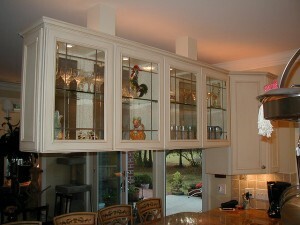 There are a wide variety of finishes to choose from, each with distinct textures and colors. Many clients choose faux finishes because they feel it allows them to make their home’s interior “stand out” and it gives them the chance to really personalize their favorite rooms. Does your drywall have a few dings? Could the carpentry on your deck railing use some TLC? 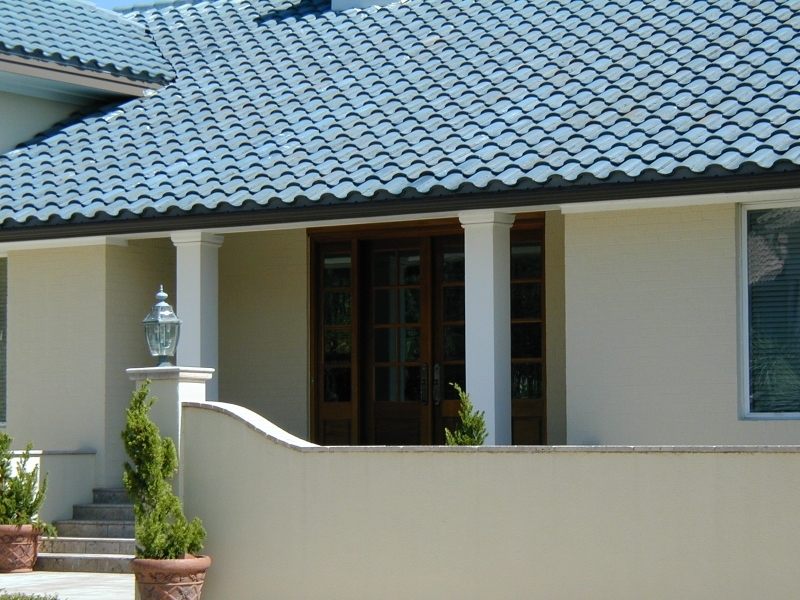 Colour Solutions can help boost your home’s interior or exterior look by completing simple repairs, as well as performing routine home maintenance tasks like cleaning out the gutters. Although wallpaper seems to be making a bit of a comeback these days, there are a lot of homeowners who feel stuck with the dates designs of decades past. But if the thought of removing wallpaper on your own gives you an instant headache, call Colour Solutions! We can remove your wallpaper in a professional, safe and efficient manner – and, of course, we can happily provide ideas for paint or finishes to take its place. 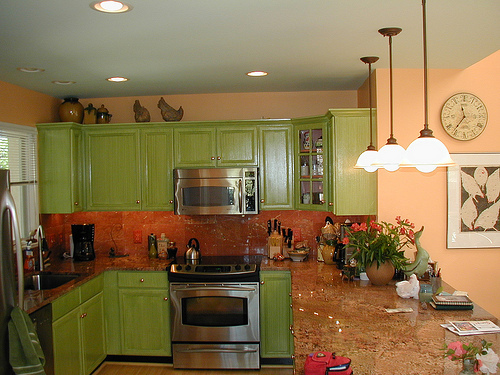 As you can see, you don’t need to spend thousands of dollars on a remodeling project to give your home a makeover. 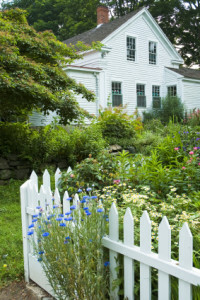 These simple and budget-friendly ideas can breathe new life into your home while adding to its market value. 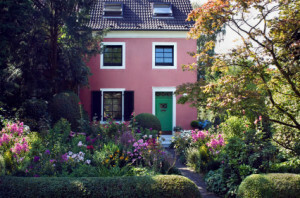 Homeowners who are getting ready to sell can especially benefit from these basic projects, as they can improve resale value, boost curb appeal, and hopefully help your home sell faster! Call Colour Solutions today at 910-686-3067 for more information or to schedule a consultation. We can’t wait to hear from you! Did you know that a deck is considered a valuable investment for your home? 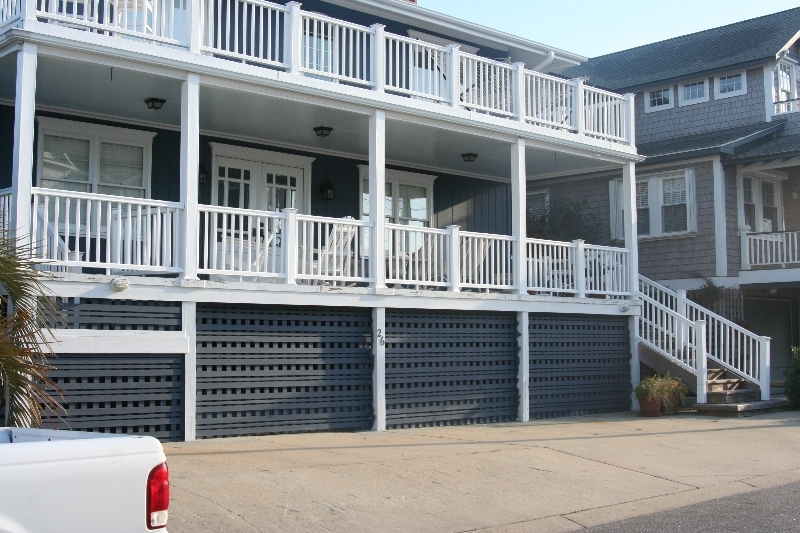 According to Remodeling magazine, a deck can offer a return on investment of roughly 87 percent of the original cost. And like any investment, it pays to protect it. Having your outdoor wood deck stained not only increases its aesthetic value, it helps protect it from the elements and prevent damage. However, a coat of stain isn’t the only thing you need to keep your deck in great shape. 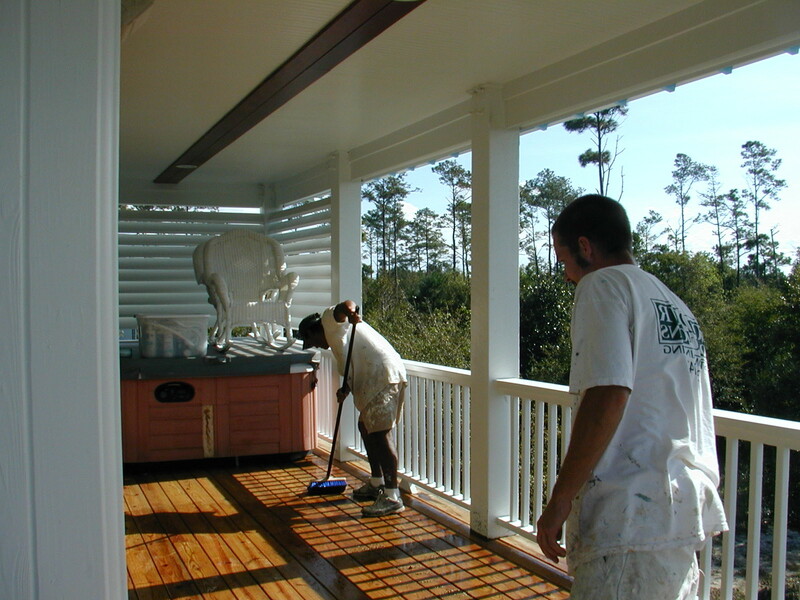 Regular maintenance and cleaning are essential to extending the life of your deck. 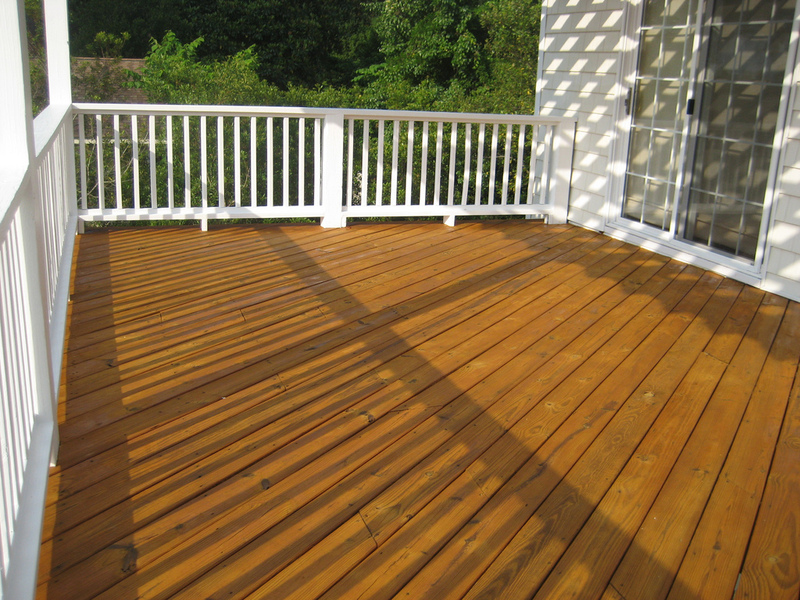 Here are a few tips for making sure you get the most out of your stained deck. 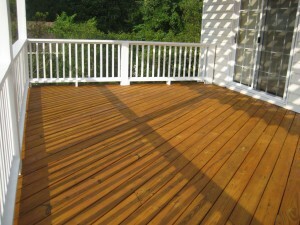 A deck that doesn’t get a good wash now and then can be subject to mildew, mold, and even rot. Your deck’s stain can do a lot of good by preventing much of these issues, but without yearly cleaning, debris can build up and wear the stain down, eventually causing unattractive spots and worse yet, costly wood rot. You can remove debris between deck boards by using a long comb or putty knife. Attach one of these items to the end of a long pole, PVC pipe or broom handle to go easy on your knees and back. After you clear out the debris, make sure you give your deck a thorough sweeping. Finally, choose a cleaning solution that is appropriate for your deck’s material. It’s also a good idea to clean the deck on a mild weather day. Extreme heat can cause the cleaning material to evaporate more quickly. Last, but not least, rinse the deck thoroughly by running a hose across the deck several times. 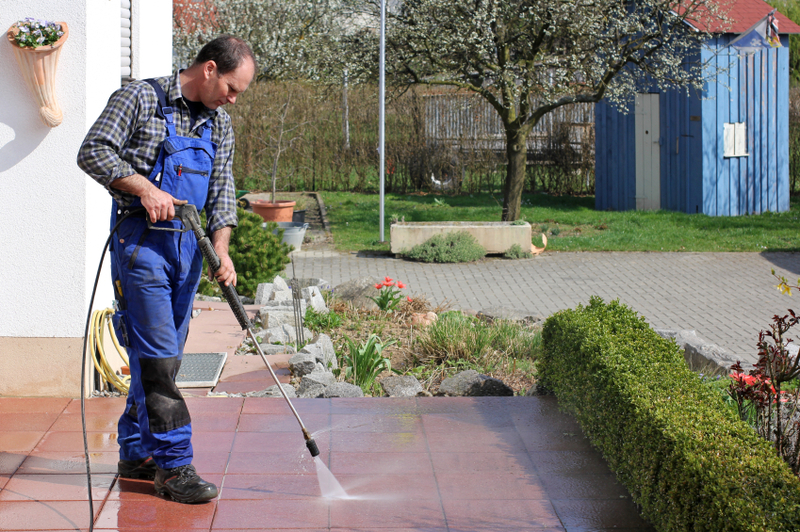 You can also schedule a pressure washing service to come out and remove any mildew that may have built up over time. Professional pressure washers will know the right solution and pressure levels to use to get your deck clean without damaging the stain. 2. Perform a deck check-up. In addition to keeping your deck looking great, it’s important to give it a once-over from time to time to make sure the structure is still holding up. Grab a flashlight and look underneath the deck to inspect the ledger. The ledger is the part that connects the deck to the home. A weak or damaged ledger can cause the deck to collapse. The ledger should be attached with lag screws, not just exterior nails. Also make sure the flashing (the material that covers the top of the ledger) is free from rust, holes or other signs of wear and tear. While you’re under there, you might as well check the rest of the hardware and ensure everything is attached properly and no screws/nails are rusted or missing. After inspecting the deck underneath, check the railings and steps to make sure there aren’t any loose boards or missing hardware. Don’t be afraid to give the railings a good shake to test them. Also look for cracks that may have developed around the fasteners over time. If you find any, you can seal the crack with an exterior-grade adhesive after removing the fastener. To add a new fastener, drill a new pilot hole and add a new galvanized deck screw. Check for signs of rot by gently probing areas with a flat head screwdriver. If you’re able to push the screwdriver more than a quarter of an inch into the wood, you likely have rot in that area. It never hurts to have your deck professionally inspected once every couple of years. And if any of the tasks above sound too complicated or time consuming, hiring a pro can be a great way to save you from the headaches of doing everything yourself. 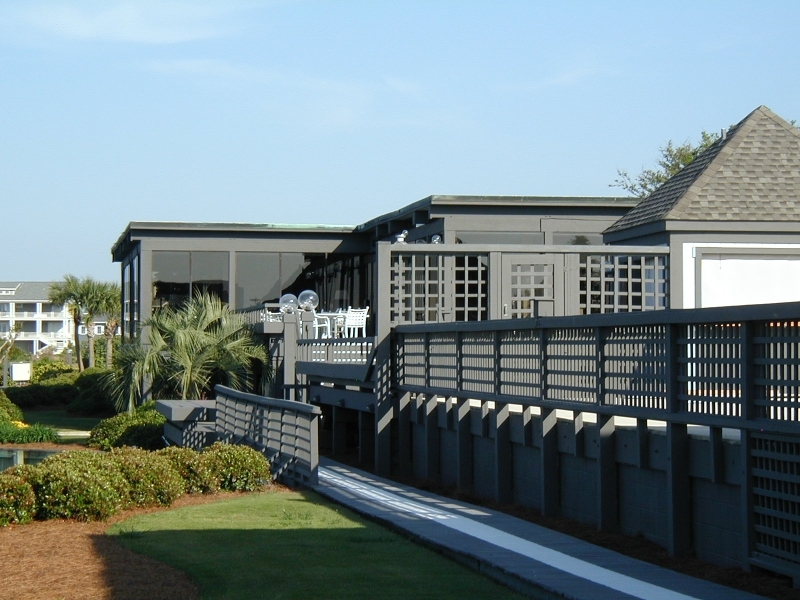 At Colour Solutions, we offer a wide variety of home improvement services, including deck staining and refinishing as well as some light carpentry. Call 910-686-3067 today to set up a consultation. Our customers frequently ask us what time of year is the best for tackling certain exterior jobs such as painting, pressure washing, staining or sealing outdoor flooring and making general small repairs. 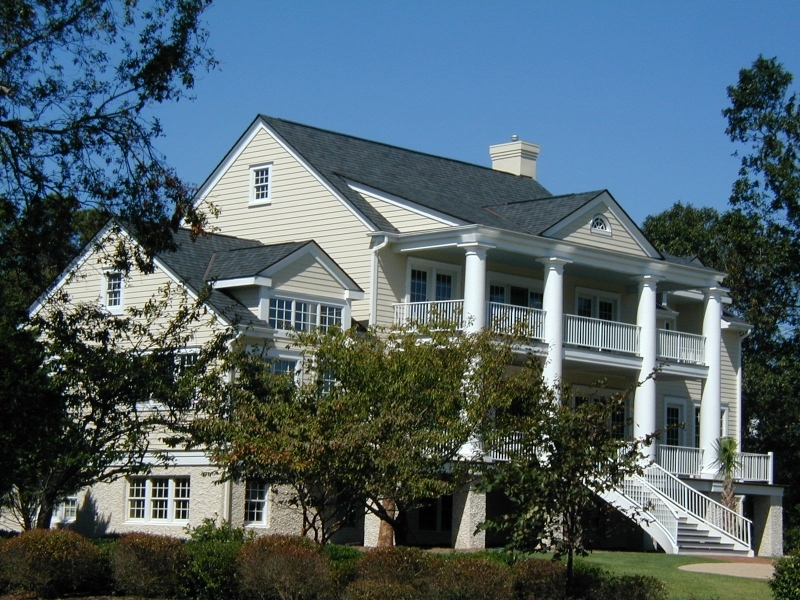 Although here in southeastern N.C. we experience some of the best weather in the country, we think that late spring/early summer is just about ideal for addressing your home’s exterior maintenance needs. 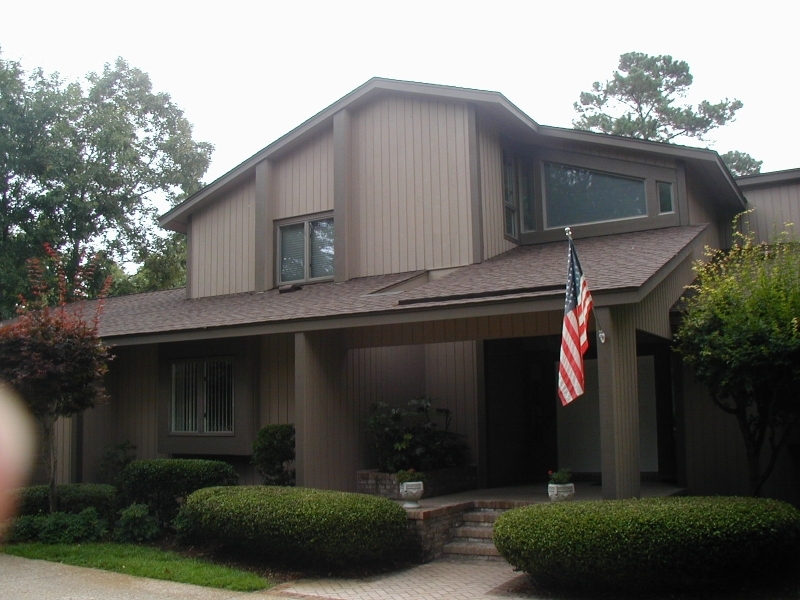 If you are considering a fresh coat of paint for your home’s siding and trim, giving it a good pressure washing beforehand serves several purposes. 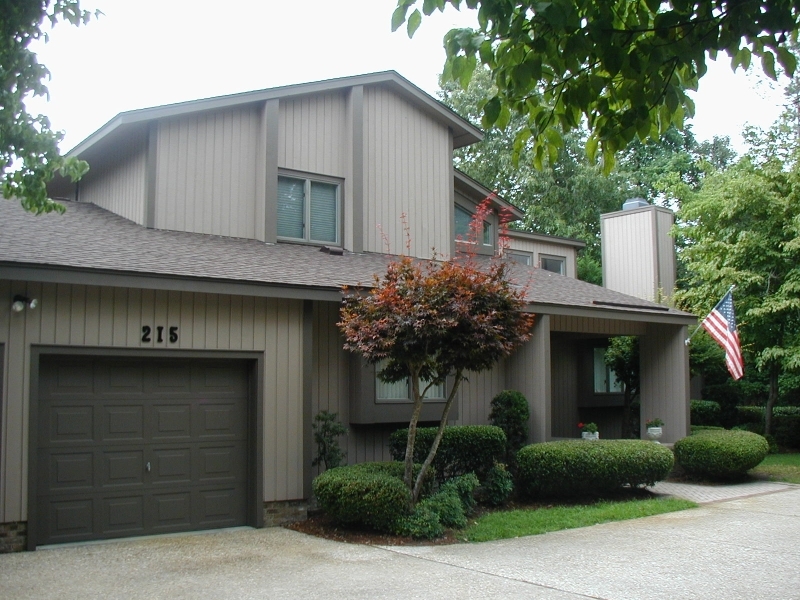 It will thoroughly clean all of the surfaces, trim, steps, walkways, and easily remove any flaking paint or stain. Take it from us, prepping for an exterior paint job with pressure washing is quick, easy and mess-free! We have even had customers discover that their home was not due for a paint job at all; it just needed a good cleansing blast from the Colour Solutions team! As for painting, the good news is that the pollen is gone and the temps are seasonably mild, yet sunny. Which means quicker drying times, plus the days are longer so there’s more time to complete the task. The same applies to staining and sealing wood decking and porch flooring. Another pro is that the kids won’t be out of school for a few more weeks, so no little footprints should hamper the progress! Then, when those long, lazy summer days finally roll around, your place will be ready for full-on family enjoyment! Sprucing up your home’s exterior provides immediate gratification. However, please don’t neglect other “to-dos.” There are plenty of spots that fall into the “out of sight, out of mind” category. However, though they are not exactly exterior areas, the attic, crawl space and basement needs your attention too. After the much more frigid and wetter than usual winter we had, it is imperative to check all the areas of your home for any signs of moisture, mold, mildew or rot. If that is out of your area of expertise, just give us a call. We have heard stories from more than one customer about the damage caused by burst pipes. 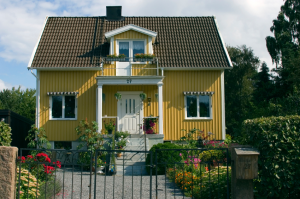 The unfortunate twist is that homeowners were often unaware there was a problem at all. Please remember that in addition to our usual services, we also do small repair jobs and are experienced in diagnosing issues before they get out of control. Drier summer weather allows areas that are prone to moisture retention to dry out a bit. Thankfully, that makes it much easier to fix any problems that may have arisen. Replacing wood, fiberglass or insulation that shows signs of excessive dampness is the best way to remove mildew and dangerous mold from getting a foothold. 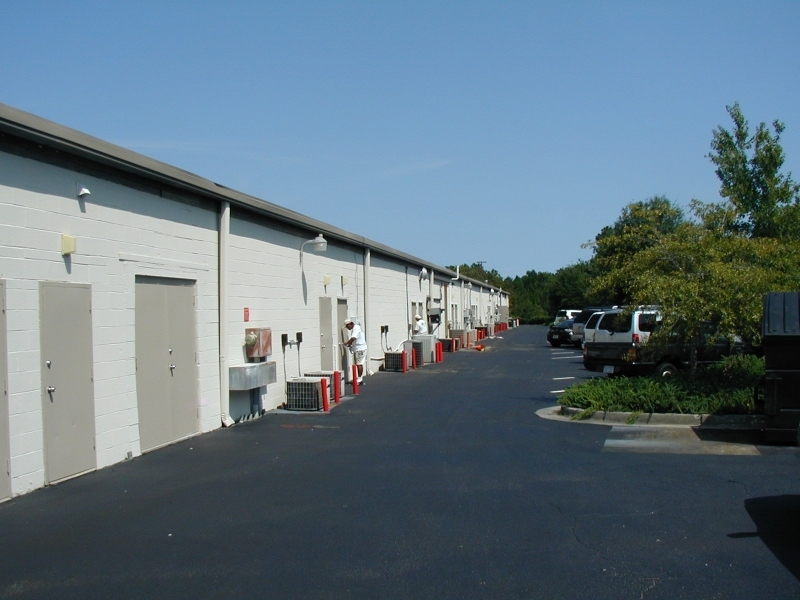 Please call 910-686-3067 to find out what we can do for you.